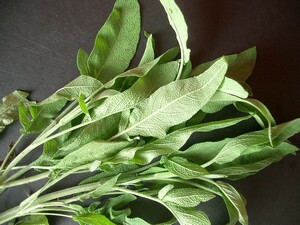 Sage is an herb with a very distinct aroma. Its leaves are slightly fuzzy, long and tapered, most often a silver-green color. There are bi-colored and lemon sages. The flavor is very bold and distinctive. Go easy with it, as it can easily overwhelm whatever you’re cooking. Sage is classically paired with turkey at Thanksgiving, however it works really well with pork in any form. The leaves can be deep-fried and used as a garnish, tucked under the skin of a turkey, or sandwiched between two very thin slices of potato and fried-a special potato chip! Sage is pretty sturdy and will keep refrigerated. Look for flat, unblemished leaves with a strong aroma. 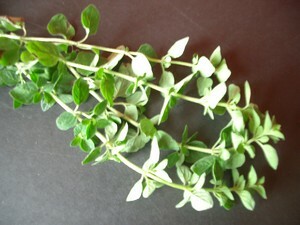 Oregano is a member of the mint family and is immediately connected with Italian food. It’s got a bright, familiar, assertive taste. There are several different types of oregano, Greek and Mexican being two popular varieties. It works well in tomato sauces, with poultry, fish and grilled foods. When shopping for oregano, look for bright green leaves, with a distinctive aroma. Avoid wilted leaves or decay. Oregano will store for a few days in the refrigerator.